Happy September 1st! I would like to introduce you to the CTMH September Stamp of the Month (SOTM), “Family is Forever.” This stamp set has 7 images (that’s one very large tree! ), and as always, you can get it for only $5 with your $50 purchase! I have been busy creating artwork with this set over the past few days. To start things off, here is a 5.5″ x 4.25″ card made with a White Daisy cardstock base. 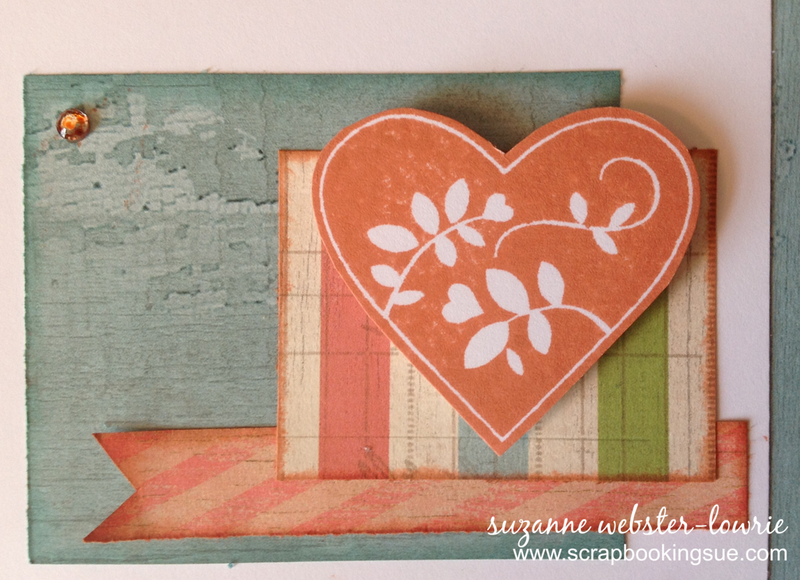 I used the Seaside papers to cover the card front and make the pattern within. 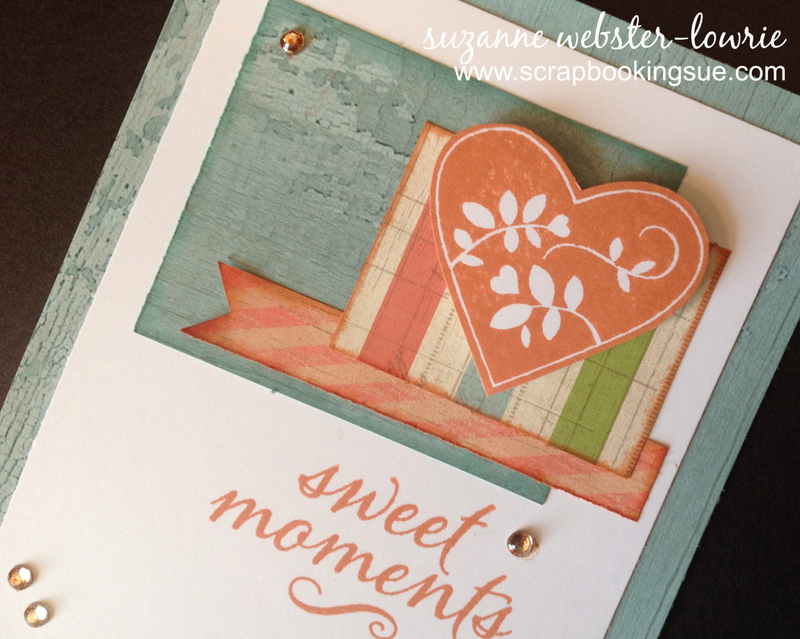 The heart and sentiment are stamped in Sorbet ink with the September SOTM. I also used the Sorbet ink and Glacier ink to sponge around the patterned papers. You may notice that the clear sparkles on this card have a bit of a tint? Wanting them to have some color, I simply colored over them with an alcohol marker, matching the Sorbet color as closely as I could! For more information, or to purchase the September Stamp of the Month, please click here. Rustic and charming. Such a pretty card! Thanks for joining us at Freshly Made Sketches! 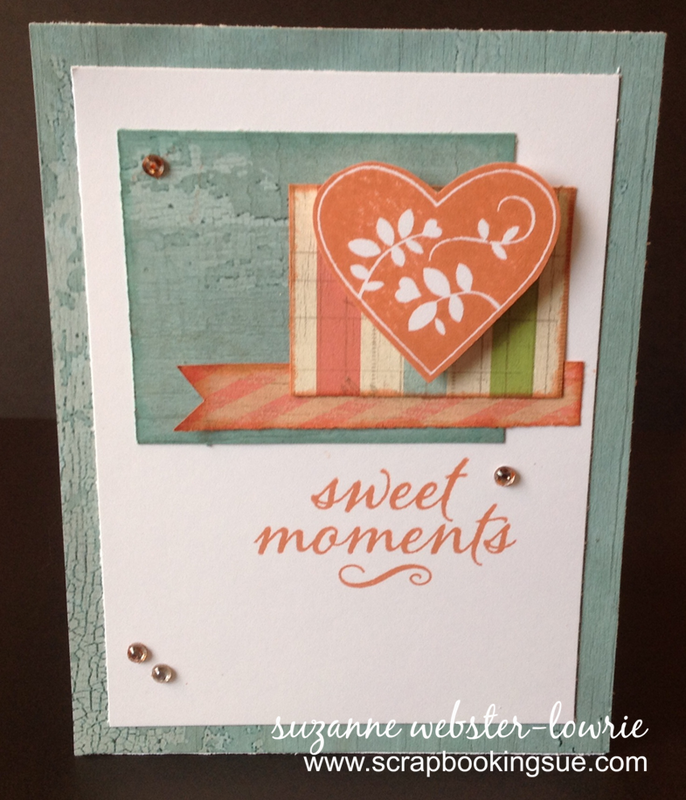 Great colours for this card and I really like the simplicity of your design. TFS. This is such a lovely card! The colours you’ve used are so soothing and pretty! Thanks for joining us at Freshly Made Sketches this week! Thank you, Narelle! I just love those Seaside papers!